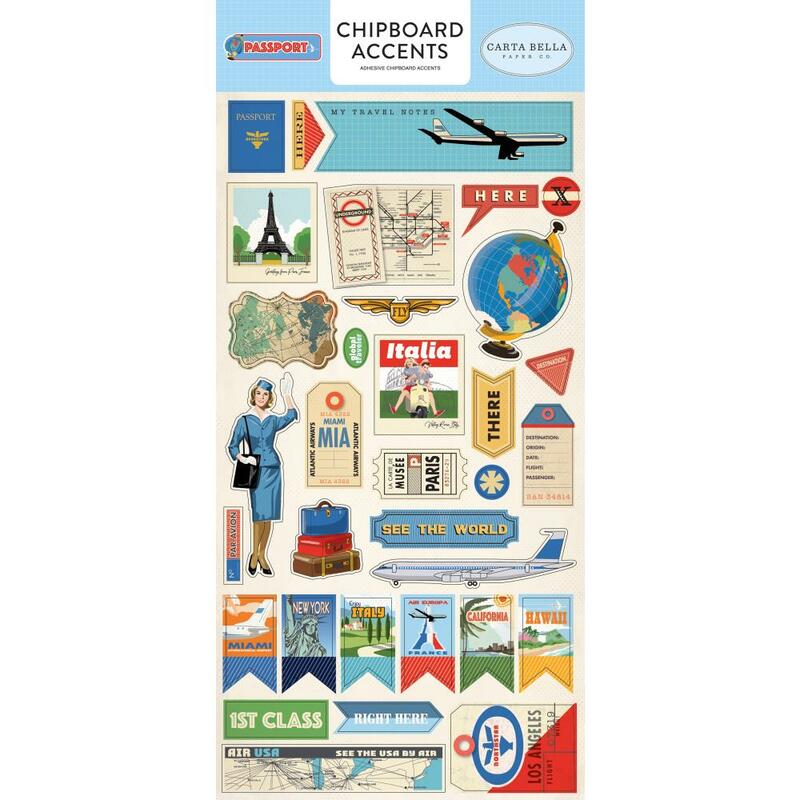 This package contains one (1) - 6" x 12" Chipboard that includes colorful Travel Icons to assist you in embellishing your Travel Projects. Part of the Passport Collection by Carta Bella. Look for coordinating products - Frames & Tags Ephemera Diecuts and Passport Collection Kit.